CNBC just released their America's Top States for Business 2018. New Jersey did not do well. Finished a distant 36th to #1 Texas. NJ's worst categories? 10th highest cost of living. 7th most 'unfriendly to business' state of the 50. And, wait for it, the worst 'cost of doing business' state in the union. And this is why folks are flocking out of New Jersey, New York, and California into Texas, Georgia, Michigan, Tennessee et al. Did you catch that? That's right. NJ, NY, CA? Blue states. TX, GA, MI and TN? 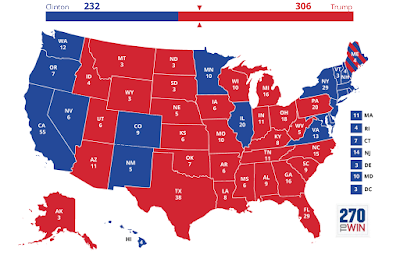 All red states.